Elle's New England Kitchen: Leftover Cranberry Sauce? Yogurt Cranberry Coffeecake! Leftover Cranberry Sauce? Yogurt Cranberry Coffeecake! Wouldn't you know, they had their own cranberry sauce in the refrigerated section--regular and cranberry-orange. So yeah, good intentions and recipes went right out the window, and I picked up a container of each. Ingredients? Water, cranberries, sugar, orange--pretty much it. And one less thing to make on T-Day. Woo! We opened the plain one first, and dear Lord, it was perfect! It didn't need spices, or alcohol, or nuts--it was amazing in it's simplicity. I could have eaten that entire thing myself! We didn't get around to the orange one, though, so back in the fridge it went. I knew I wanted to make something with the sauce, and a quick search brought me to this recipe from King Arthur Flour: Yogurt Cranberry Coffeecake. You know me, I love using yogurt in baked stuff! I read the reviews, and it seemed the consensus was to add more cranberries, so of course I did. More fruit filling? Um, yeah, I'm all over that one! I used about 1 1/2 cups, which completely covered the bottom layer. So now you get fruit in every single bite, like it should be, right? That's a no-brainer. 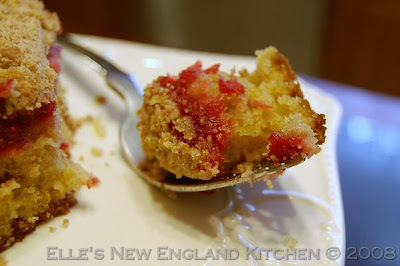 The streusel topping is fantastic--cinnamony and not too sweet. The cranberries add their signature tart/sweet flavors, and the bottom cake layer is moist and just right on the sweetness. Don't forget, there's yogurt in there, so it's anything but dry. This is my dream coffeecake. Fruity, tender and moist, and not too sweet. It doesn't need a glaze over the top to cover up dry cake on the bottom. AND, it makes a lot. A whole 13x9 pan. So you can share--or not, lol. I don't know how it freezes, but I don't see why you couldn't cut the recipe in half. And I also think this would make amazing muffins, which I'm definitely trying soon! Scrumptious! And it looks much better than the one on King Arthur's website, although they do have some great looking recipes on there. I'll have to pick up some TJ's cranberry sauce, I was unsure of it last time but I'll never doubt TJ's again! This looks fantastic Elle, I too had plans to make my own cranberry sauce but... Maybe for Christmas dinner! For Thanksgiving, I doctored up some whole berry cranberry sauce with orange zest, juice and cloves. I need to use the leftovers on that up! This sounds perfect! Muffins sound great. I love King Arthur's catalog, I window shop in that all the time, and they even have recipes in it :) I hoping one day my Husband will see what items I have circled in it, haha. 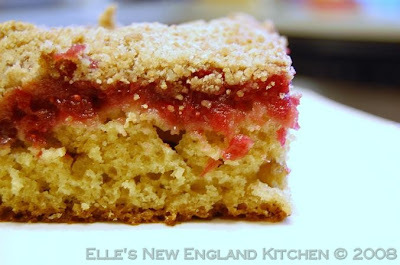 Elle, wish I could reach into the monitor and grab a piece - looks fruity, moist and delightful! I've never baked with yogurt, but will need to now, and like the idea of muffins. I am a coffee cake-a-holic! 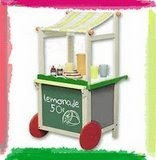 I am so making this. I've written down the recipe and I'm going to try to make it tomorrow. Sounds delicious! You know, I bought 2 packages of fresh cranberries and didn't make a sauce at all. The turkey and gravy was enough. I didn't know what to do with them. What a brilliant idea! That cake looks and sounds divine! 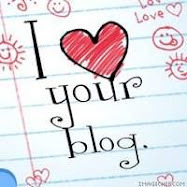 As soon as I saw the pics on your Flickr account, I was wondering when were you going to blog about the cake :). Looks so perfecly moist! Looks incredible Elle! I need to try this! Looks wonderful. I love the look of the cranberry layer! 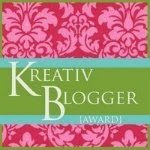 I hope you didn't mind but I added you to my blogroll, THX! How good does that look!! I love using yogurt in bakes too, & that cake looks moist, fruity & absolutely divine....now just to hope Trader Joe comes to town here Elle! How did I miss this. This looks absolutely yummy!!! I just put a coffee cake on my blog today too. great cake, elle--moist and succulent and tart and cakey. i'll take it. Of course you have to have fruit in every bite! Not to is just crazy talk. And yoghurt cakes are so delicious! Lovely! OMG!!! I made this EXACT CAKE for the "having a munchie emergency while on vacation and staying in a hotel room" for this past Thanksgiving's foray to Kiawah!!! Mr B M S and I chowed down on it for days!!! Great minds think alike, my fine feathered friend!! Yogurt is my new favorite ingredient to bake with, it works magic! 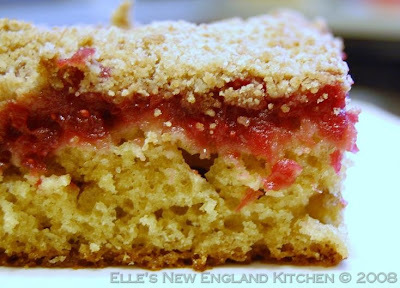 Love the way you used the leftover cranberries, its color looks so gorgeous against that tasty and moist coffeecake! Thank you for the nice comment! 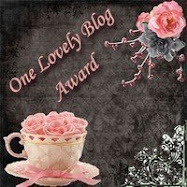 I just left you an award on my blog, too! Great recipe! I don't like cranberry sauce, but I like cranberry things - weird! That looks like a dream fruitcake! I'm glad I stopped by! I wanted to let you know I made the cake last Thursday evening and it was outstanding! The next day, Friday, we lost our power so it gave us all something yummy to snack on. I will definitely be cooking it again, and soon! I did alter the recipe just a bit though. In the batter, instead of adding a stick of margarine I cut it in half and made the rest up with applesauce to cut down on calories. I also added wheat germ because it's good for the kids and I didn't have an wheat flour. As for cranberry sauce, I used a whole can. And in the topping I added a 1/2 cup finely chopped walnuts for yummy flavor. Thank you so much for such a delicious recipe!!! Sharon, I'm so glad this was your power outage snack food! Not glad you lost power, though. And those are great changes you made--will remember to try them next time!